Good deal, John. I'm sure it'll be awesome. And Brian, in the past, when I've been really wanting to have a permanent record of a web page (or pages), that I see, I just convert them to PDF. That way I always have a copy, regardless of what a particular site does with those pages. I always enjoyed that old thread too, and is the primary reason I started it again. Too bad the other thread had to go, but thank you for keeping the idea alive! I got an email yesterday from Ebay. Apparently, they had some sort of issue the other night that caused some people some grief. Whatever it was, it never affected me, personally. However, they issued a coupon code, so I thought I would put it to good use. I just ordered an Eagle Parts corrected cowl cover for the Fw 190A-7/8/9 and it only cost me a total of 45 CENTS! Since I just purchased the A-9 cowl ring/cooling fan, last week, I know I'll be putting this to good use! Hey John ... Just on that correction, is the Hasegawa kit part for an A-7/8 dodgey?? The kit part isn't horrible, but the EP part is certainly better. The "humps" are a little more rounded and the small bumps on top not so sharp, either. The Hasegawa parts are like a plan form drawing in 3D ("harder" lines, if that makes sense), whereas the EP version smooths out the wrinkles, so to speak. Thanks bud!! - there's quite a difference side by side, eh?! 5 more books for the library. Great selection of books, Tony! 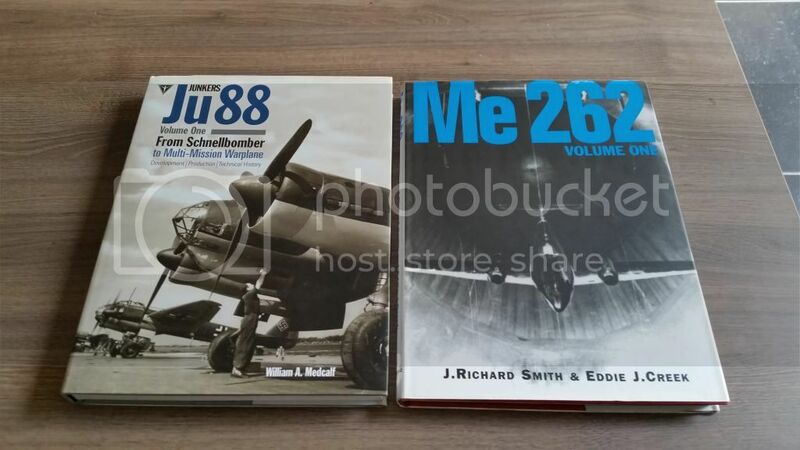 I was wondering, RE: the Walter Schuck book; does it have any photos of the 262(s) that he flew? 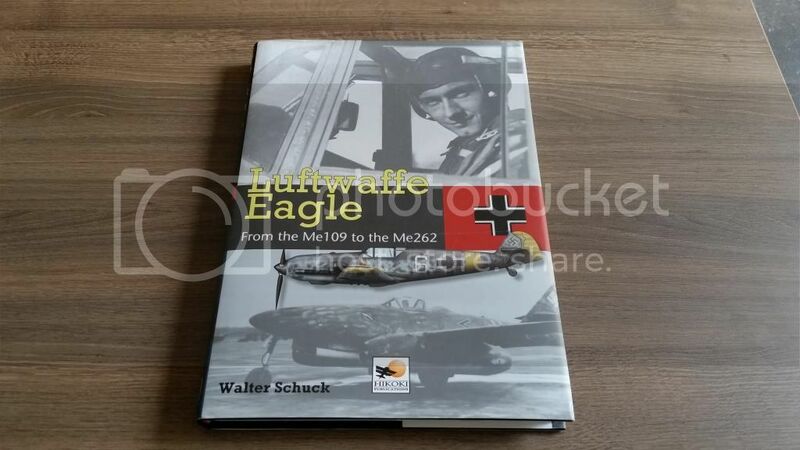 I have a set of artist's profiles, one dedicated solely to Schuck, that are signed by him and have given serious consideration to doing my Trumpy kit in his markings, but I can't seem to find anything solid. 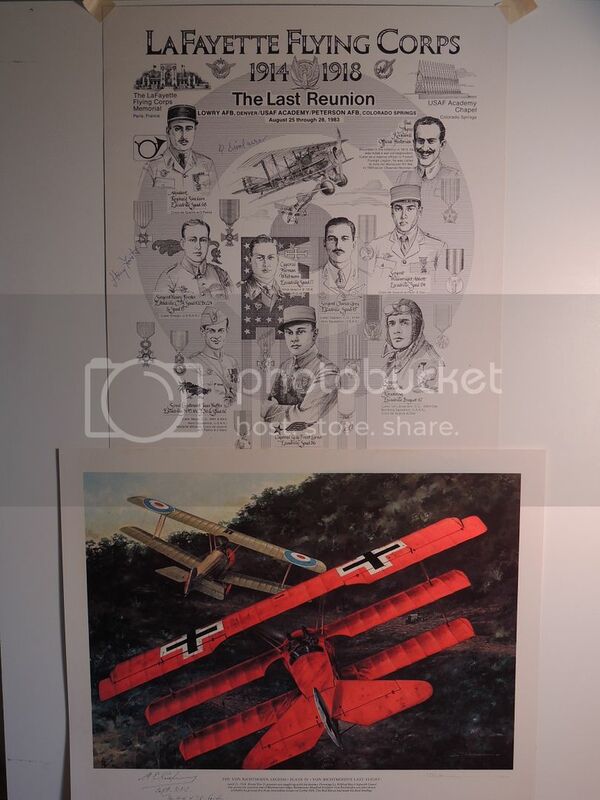 Other profiles and paintings seem to vary a bit. Most depict his plane as "Yellow 1", but the paint scheme is usually different from one to the next. Thank you for any insight you can give. 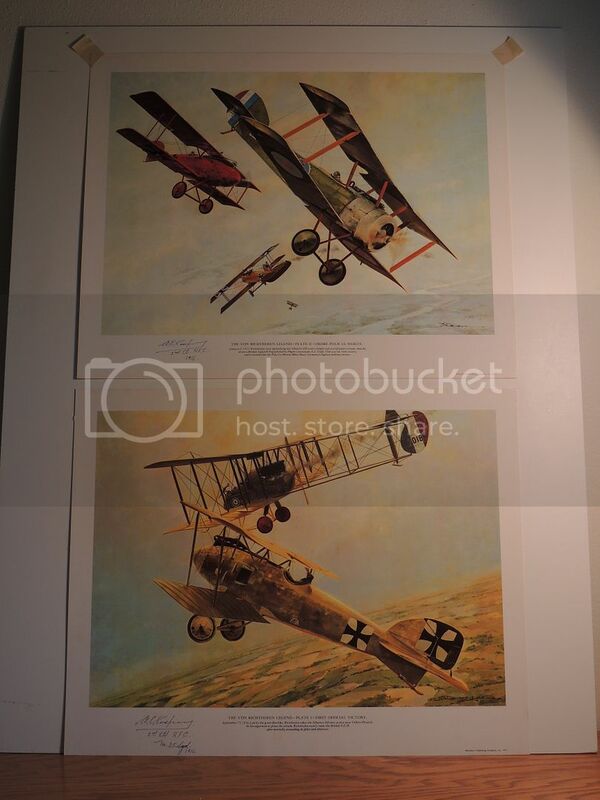 Nothing on the captions says that any of the 4 are actually his aircraft. There is also 1 color profile of yellow 1 that states that that one is the aircraft he flew. 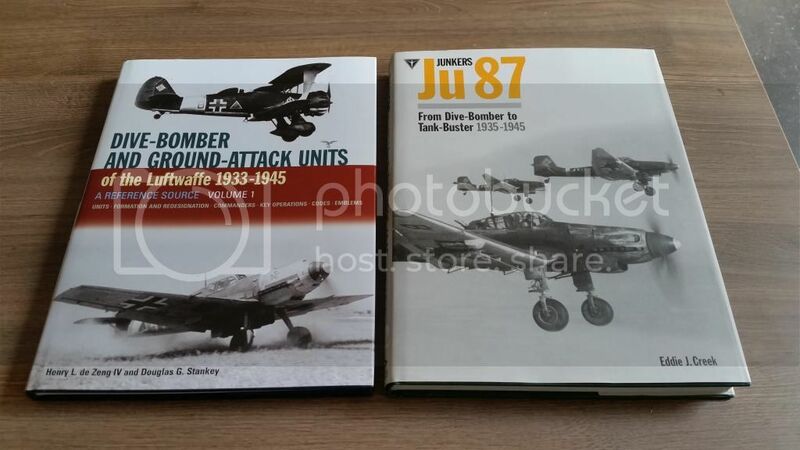 Good collection of books to be sure. 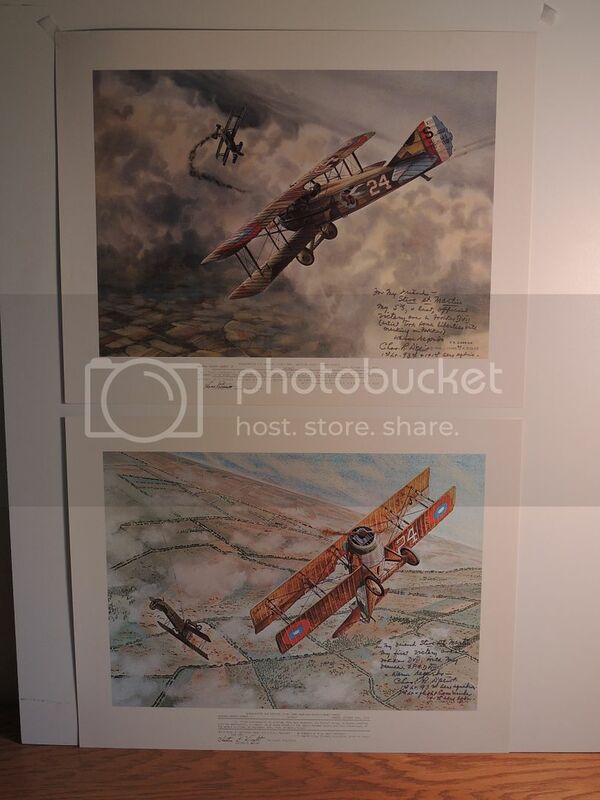 Pictures of my vintage prints, and if you look closely they are signed by WWI pilots. 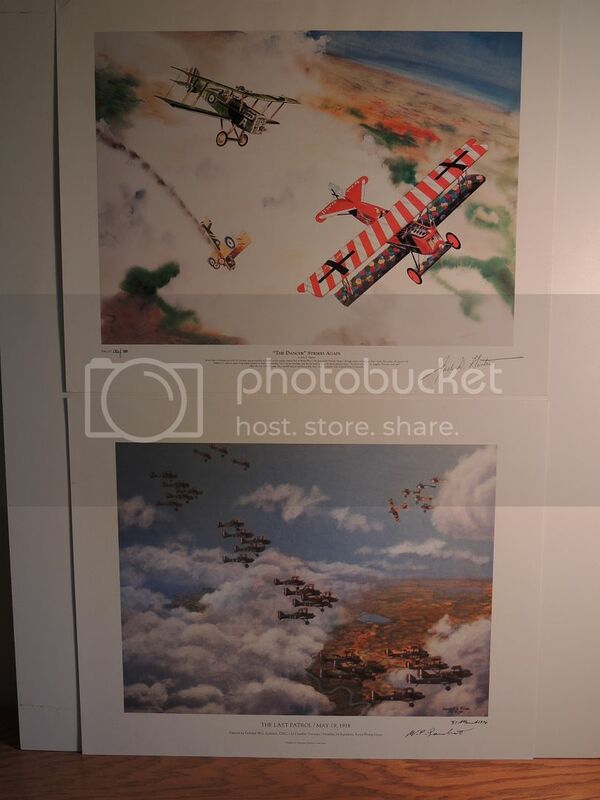 The top print of the last two is a Jack Hunter picture he signed (He wrote the book "The Blue Max") I also have a collectors edition of the novel that he illustrated with his signature.